Soil erosion, poor compaction, leaky pool equipment or flooding can cause a pool or a pool deck to become unbalanced and possibly sink. 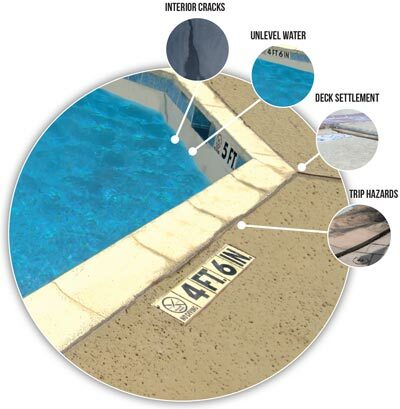 A sinking concrete pool or pool deck may damage the structural integrity of the pool. This can lead to washouts and soaked soil which cause further pool settlement and uneven concrete decking. 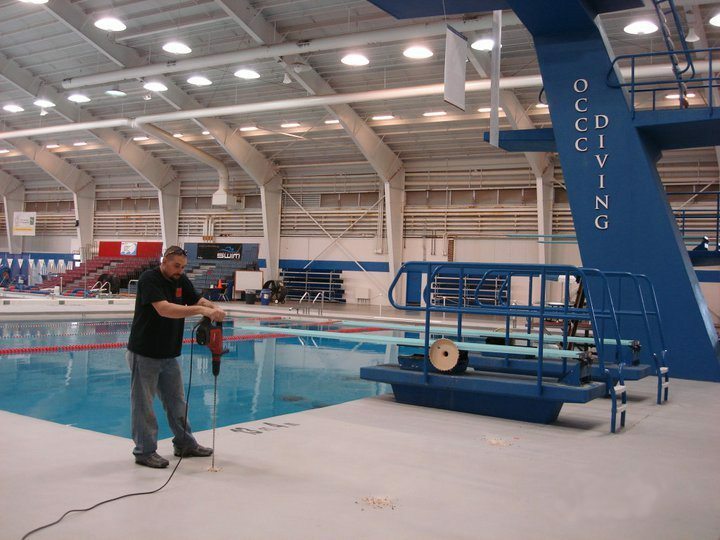 If you are experiencing issues with your concrete pool then you need pool stabilization, pool resurfacing, or pool deck repair from URETEK. As the trusted choice nationally for polyurethane concrete stabilization, URETEK can help you save time, money, and prevent further damage to your structure. Call us or fill out our contact form today to schedule your free assessment! Concrete settlement happens to many structures at some point during their lifespan. Swimming pools are no exception. URETEK’s proven technology for foundation repair and concrete lifting utilizes a high-density expanding polymer injection process that is designed to lift, stabilize, and compact loose soil under sunken structures. 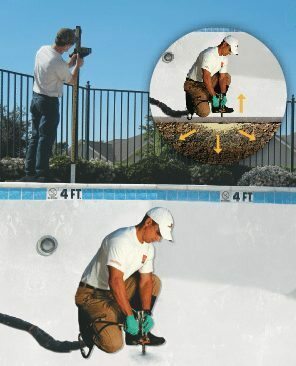 Our patented polymer is injected under the pool through small (5/8” inch) holes, as the material expands weak soil is compacted and the load bearing capacity of the soil is increased. 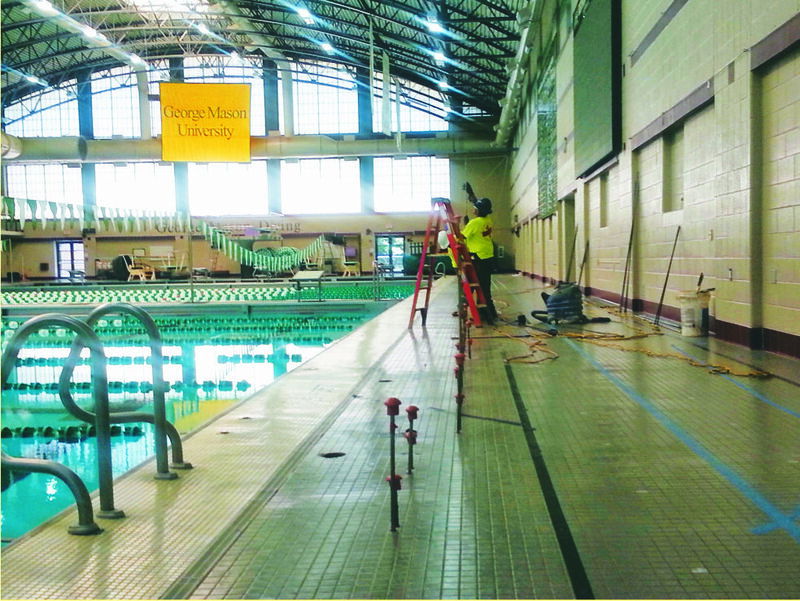 The rapid expanding polyurethane realigns unbalanced and sunken pools and natatoriums quickly and effectively. 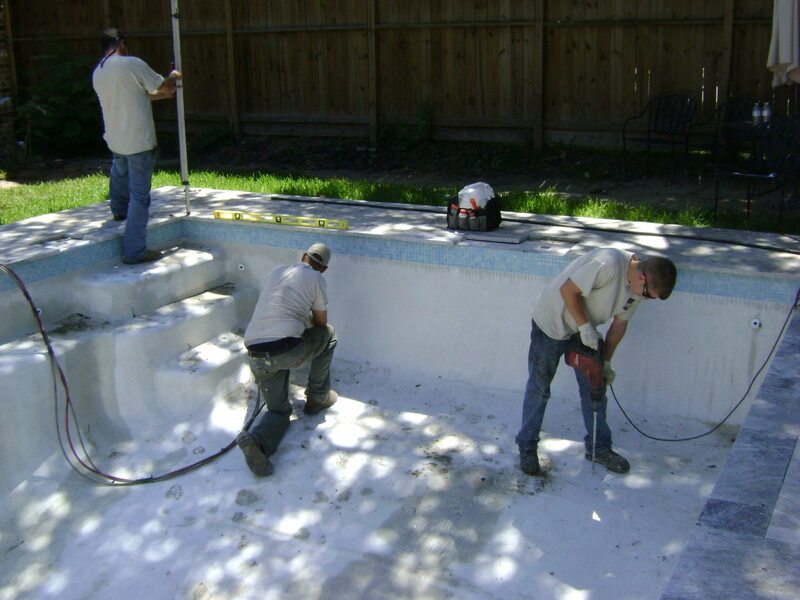 Most pool leveling, pool deck repairs, and concrete pool resurfacing projects can be completed in one day. 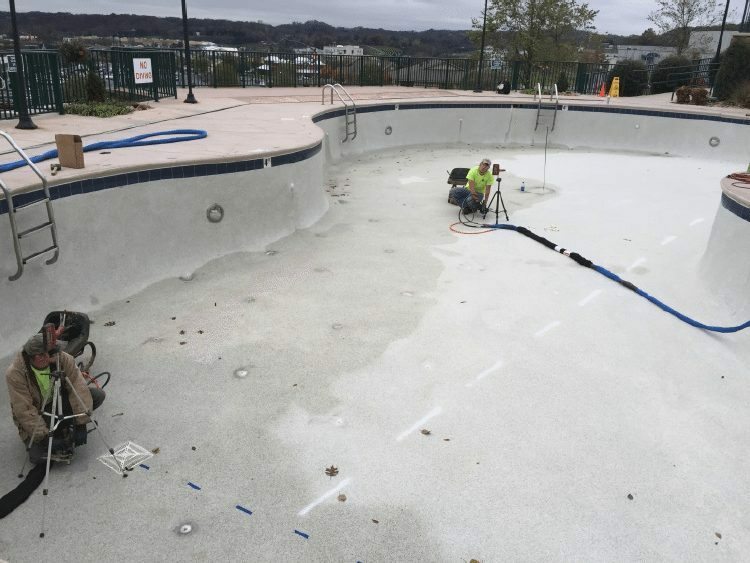 URETEK’s quick, clean, and long-lasting pool repair process gives you a restored, stabilized pool that’s ready for swimmers! We utilize technology that makes repairs quick and easy in order to keep operations as normal as possible. Long term solutions correct problematic concrete and soil issues, restoring value to your property. Reduce liability from trip hazards, vehicle hazards and more. We help restore safety back to your structure. Our repair methods are environmentally neutral and do not contribute to soil or water contamination or leaching.